Welcome to Grand Valley Home Insulation. As a locally owned and operated small business, we take great pride in offering our neighbors a quality insulation experience. Our goal is to help make homes more energy efficient, no matter how old or new they may be. As Grand Junction, CO natives, the ownership and management team at Grand Valley Home Insulation understands how important natural beauty is for Coloradans. Whether you hike, ski or just sit and enjoy the views, we all know we are lucky to live in such a beautiful place, and we all do our best to protect it. As a local insulation contractor in Grand Junction, CO, we also know that this love for the environment can extend to inside our homes as well. That’s why we proudly offer high quality, affordable insulation services, with the main goal of making local homes more energy efficient. We are a proud, locally owned and operated small business in Grand Junction, CO.
We have over 35 years of experience in insulation contracting. We can make any home, new or old, more energy efficient. Our prices are competitive, and we currently offer interest-free financing. 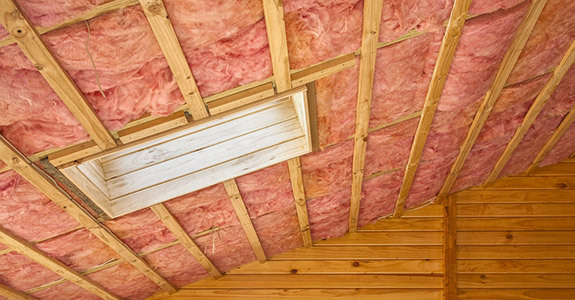 Give Grand Valley Home Insulation a call today or anytime to set up a consultation appointment.